﻿ Check out these Crowdfunded DIY Neuro Classrooms – are you next? Check out these Crowdfunded DIY Neuro Classrooms – are you next? 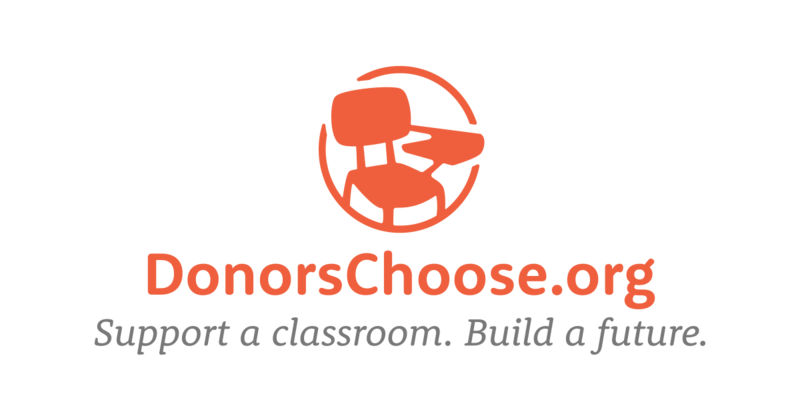 Donors Choose continues to be a fantastic option for teachers who are determined to get DIY neuroscience tools into their classrooms, despite declining departmental budgets. With its Kickstarter-like backing program, Donors Choose gives educators another option for providing classroom equipment for their students without breaking the bank–by relying on the kindness of their community. 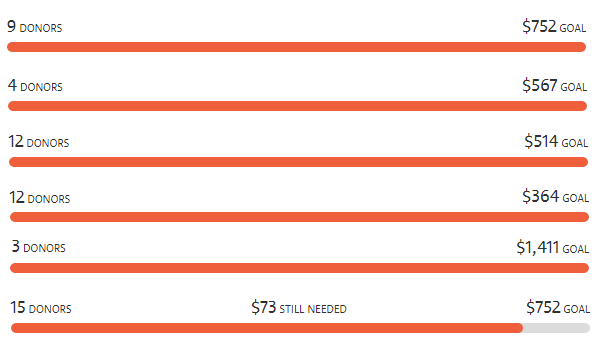 While Backyard Brains tools are significantly better priced than most standard neuroscience equipment, we understand that sometimes a teacher needs a little extra help, and we are thrilled to see the number of Donors Choose campaigns that have chosen BYB tools as their goals! That’s over $4,000 in crowdfunded DIY Neuroscience tools in just three months! This is evidence that teachers and communities agree that enhancing a classroom’s traditional life sciences curriculum to include hands-on Neuroscience, Biomedical Engineering, Electrophysiology, and Anatomy labs is a game winning strategy! Below, we have compiled several examples of successfully funded campaigns. Take a look below to see how teachers and communities are working together to bring cutting-edge science to their students! Then, when you’re ready to start your own campaign to turn your students into DIY Neuroscience rockstars — check out the Donor’s Choose getting started guide below! 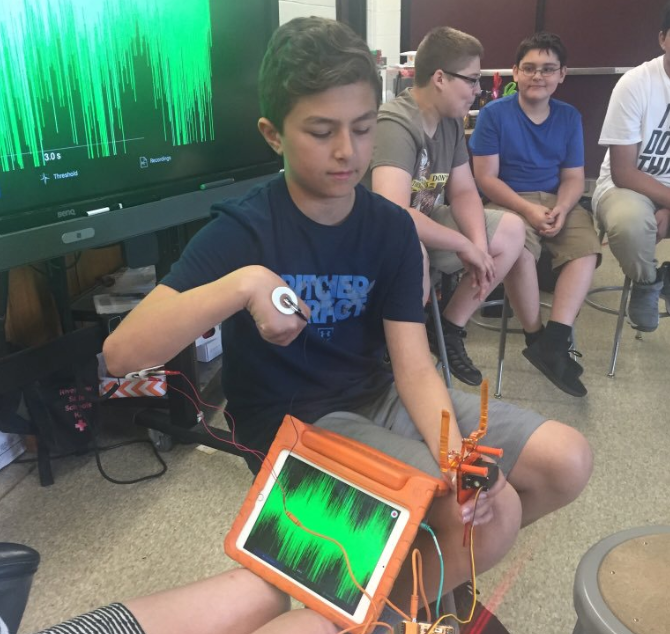 Ms. Farkas and her class began their neuroscience adventure last school year after she won $1,500 in grant funding from a STEM conference “Idea Slam!” She and her 7th grade class explored Neuroscience, Psychology, and Physiology. This year, we want to continue my students’ Neuroscience journey! With the help of the Backyard Brains Muscle SpikerShield Kits, we plan to conceptualize, research, design, build and control our own Neuroprosthetics. Through collaboration with the team at Backyard Brains, we are piloting a project aimed at middle school students! This is a fun, affordable, hands-on way to experiment with neuroscience. A toolbox full of different types of tools to learn how the brain works. During science class, we never really get to show students the fun side of science because we lack the money to buy fancy equipment. Mrs. Roy teaches two Project Lead the Way Classes: Principals of Biomedical Sciences and Human Body Systems. She describes her classes as not the “typical” PLTW classes, because for many of her students, this is their first opportunity to take an honors/advanced course. Consequently, it is a team effort to keep up with the challenging PLTW curriculum, but the results are twice as rewarding. 1 in 5 people are likely to develop an incurable neurological disorder in their lifetime. Yet, my students will never get the chance to study neuroscience in high school! Such sophisticated equipment was too expensive or unattainable until college. Then, while studying new biomedical engineering devices, my students and I came across Backyard Brains. This company uses “off-the-shelf electronics” to create kits for educators and novices to use to understand the inner workings of the nervous system! 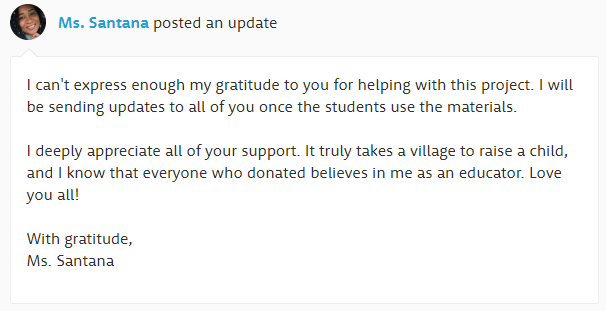 Mrs. Roy’s campaign finished funding near the end of September, so she will have her gear in time for her neuroscience unit! Ms. Santana actually has three separate campaigns running in order to cover an entire classroom’s desires. A pretty savvy example of grantsmanship, if you ask us, since a successful Donors Choose campaign seems to be around $1000, so breaking up a larger goal into parts is a clever take! My students have significant challenges in understanding and visualizing science, especially since I teach multiple inclusion classes with students who have special needs. This is a way to use current scientific tools and marry them to technology. In addition to this device, I will be bringing in staff from Columbia University to help me teach neuroscience. I was a research fellow for two years and the graduate and medical students there are excellent resources and role models for my students. I want to bring neuroscience and engineering to my students to help them understand how an amputee can control a prosthetic arm or hand using only their brain and existing neurons!With this amazing equipment, my students can experiment with the nervous system and their own muscles/responses as we discuss prosthetics in our biomedical unit. With your help, we can experiment with this tool in various ways to spark an interest in this amazing field and help students understand how they can be biomedical engineers or neuroscientists and better the world! Over the weekend, another DIY Neuroscience campaign popped up! Neuroscience is a new and exciting addition to younger and younger schools, and with opportunities like Donors Choose, more schools have the means to bring our work to their classrooms! So thank you, Donors Choose, for helping broaden the ranks of the Neurorevolution! Be sure to keep checking back for updates on these campaigns or check out our website for your own inspiration!